Is it really time to start planning the new school year? I feel like summer has just started! This week Moe Man is doing his fun testing, so we have limited school. 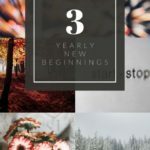 What better time to plan for the new year? Moe Man is going to be in 9th grade! I am not ready for this, but I have no choice. Being in 9th grade, a freshman, means that I have to get more serious along with him. Being more serious for me means tracking more and grading more. No more pass or fail options. How will I do this? 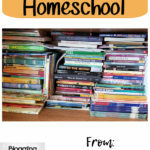 I am going to use Homeschool Planet to help me out. Remember my review? That was the simple part. But now I have to actually teach him something! To make sure I am covering everything I need to cover I have printed up some of the High School forms from Tina’s Dynamic Homeschool Plus. 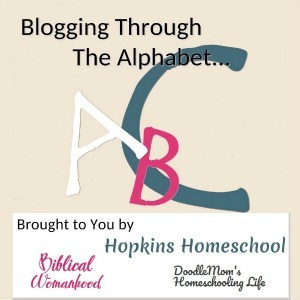 She has everything you need for school planners, and they are FREE! Math this year is going to be Unlock Math. You will hear more about that in the near future. We are doing the Pre-Algebra. This is the math level that Moe Man is at right now. He is loving this online way of learning the math and I love that he is learning! English this year is going to be a combination of a few different things. For writing we are going to continue to use our IEW Student Writing Intensive Level B. This was the first time that Moe Man loved to write, so we are going to keep using it! We are adding in Sharon Watson’s Illuminating Literature: When Worlds Collide for our literature study. 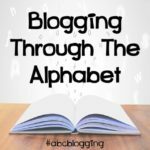 I love the book list with this program and I can’t wait to share our review with you! 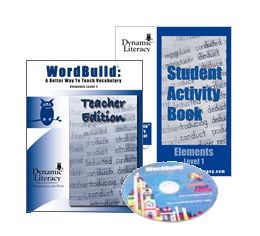 We are also continuing our study of words by using Dynamic Literacy. I loved this program. I loved how simple yet effective the daily lessons were and I could see things clicking in Moe Man’s brain…this is good! This year for science we are doing Homeschool Astronomy. While this is considered a science elective, Moe Man really wants to learn Astronomy, so we are learning Astronomy. I would much rather let him have his way (when he wants to learn something) than have to fight with him every day when it comes to school. Plus, he got a telescope from his biological mom, so we need an excuse to use it, right!?!?! 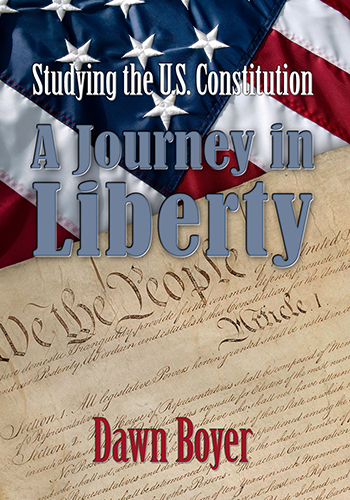 This year we are going to learn about the American Government while using A Journey in Liberty. 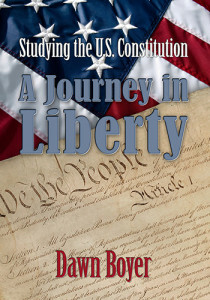 I personally feel that a study of the U.S. Constitution is very much needed right now and this program looks like a great one! For the electives this year, I decided to pick home economics. I picked this and Moe Man has no choice! I decided this on the day I asked him to make his own mac and cheese and he didn’t know what to do. That is when I realized that I was babying my boys too much and I don’t want to be that mom who has that boy! 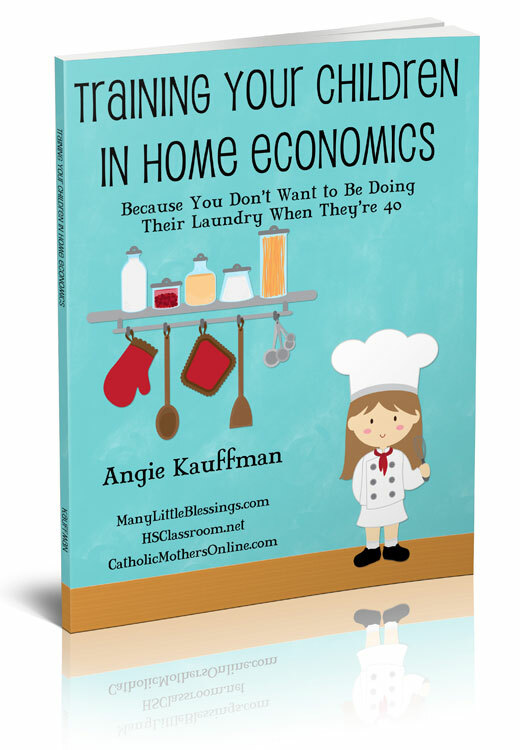 For Home Ec, I have decided to make my own curriculum, but to follow the ideas that Angie from Real Life at Home gives in her eBook, Training Your Children in Home Economics. I love this book and I know that I will be able to make a curriculum for Moe Man and even adapt it to make a curriculum for Ray Ray also! So there it is, the list of classes that I will be having Moe Man work on for his Freshman year. I am sure that we will add some things later as we get used to the schedule. And yes, we have the bible, but it is just him reading from Jesus Calling and from his bible at this time. What are you using for your lessons this year? Do you have a Freshman? What classes will they be taking? 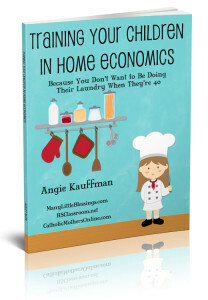 Thanks so much for mentioning my eBook! 🙂 I'm so glad that you're going to be able to use it as a jumping off point for teaching Home Ec! Thank you for coming up with such a wonderful resource! I love all the ideas and will be using most of them with all my kids! Your list looks awesome and sounds like you're ready for high school! So exciting! I LOVE the high school years. 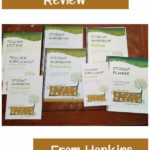 Thanks for mentioning my 7 Step Homeschool Planner and my high school forms. Hope you will have a super year!! Thank you Tina! 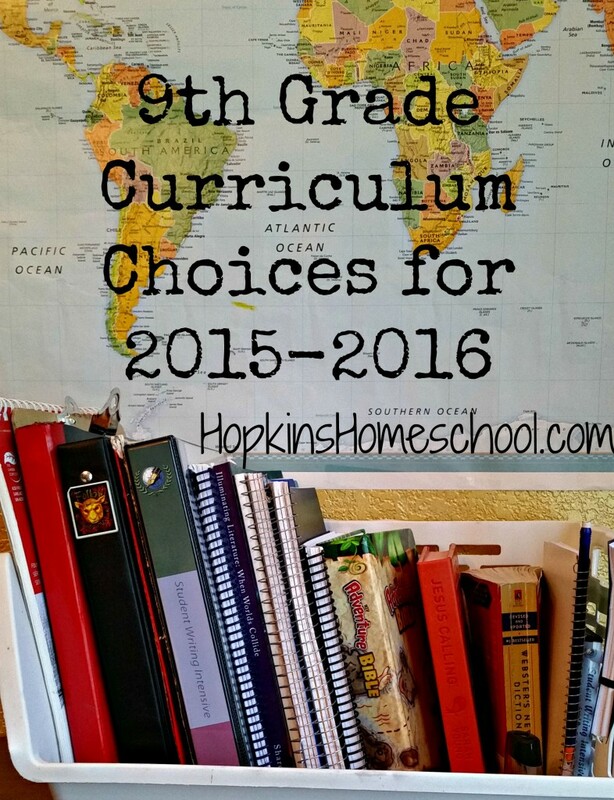 I am nervous about the first year of high school, but your forms have helped me plan and know what I need to do!